The world of IAM is one of constant change, shrinking deadlines and harsh regulations. This e-book dives into the most pressing IAM issues faced by organizations and offers actionable, affordable and sustainable approaches to combatting these challenges. 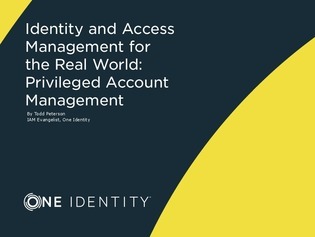 Gain insight into privileged account management and how to prevent security breaches targeting these accounts.